Young preachers and pastors from across the country are attempting to define their role in the #BlackLivesMatter movement. On Wednesday, more than 100 millennial preachers and pastors, seminary educators, youth activists and allies participated in a strategy conference call to discuss ways in which they should respond and become involved in the movement. 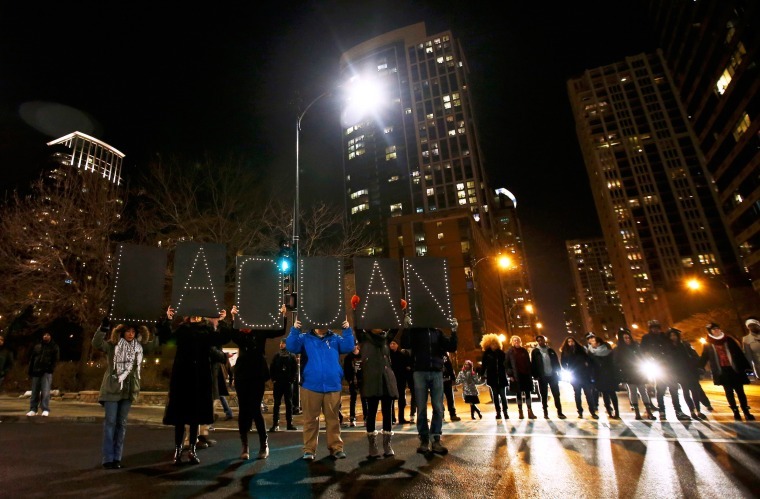 The call was due to the recent developments in the murder investigation of LaQuan McDonald, a Chicago teen, shot and killed by a City of Chicago police officer. Rev. Neichelle Guidry, associate pastor to young adults at Trinity United Church of Christ, moderated much of the call. For Guidry, she felt it was important to bring young faith leaders together to determine ways in which they could organize and respond in their respective settings. “How can we work together as a coalition and develop a collective response as millennials’ leaders,” she said was her biggest question. But in order to get there, participants in the call needed to deal with one major obstacle – trust. Members of Black Youth Project 100 made it clear on the call—there is no trust between the youth and the faith community. One BYP 100 member spelled out the issues present in Chicago most specifically. She pointed out moments where church leaders had betrayed the black community, and most specifically black youths, by neglecting black youths and millennials, shaming them and even supporting legislation and legislators that have harmed the black community. “You all have to deal with that stuff and be honest about what you have done before black youth activists will begin to trust you again,” she said. Rev. Dominique Robinson, an itinerant elder in the African Methodist Episcopal Zion Church, described the tone as more of a speak-off than a strategy brainstorm. She found herself disappointed at one point during the call. Rev. Traci Blackmon, pastor of Christ the King Church of Christ in St. Louis, MO, extended an apology during the call that seemed to move them closer to progress. During the call she shared what clergy have been able to accomplish near and around St. Louis following the shooting death of Michael Brown by former police officer Darren Wilson. One way they have been present has been during Moral Monday demonstrations in St. Louis. They also created a network of clergy in order to stay in contact with one another. Whenever there was an event where they felt clergy needed to be present, they would contact each other via group text/chat and find out who would be available. 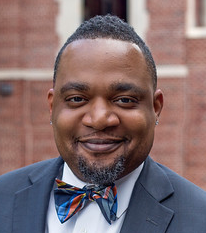 Otis Moss, senior pastor of Trinity UCC joined the call to provide guidance and wisdom. He said the millennial generation has a unique ability and opportunity. But he warn participants to be conscious of their intentions. Guidry and others have some ideas. By the end of the call they had a list of directives moving forward. First, the development of a centralized space where best practices and resources can be shared. Training lay members and congregations on how to be effective activists in their respective communities while also utilizing available resources within theological institutions was also suggested. And most importantly, being present, transparent and honest during their involvement in the movement.